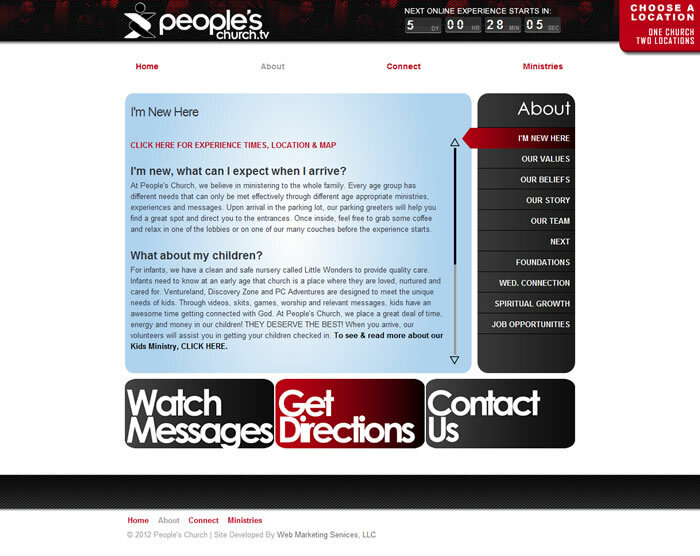 Web Marketing Services, LLC had the privilege of working with People's Church on the development of several web sites including it's very first in 2002. 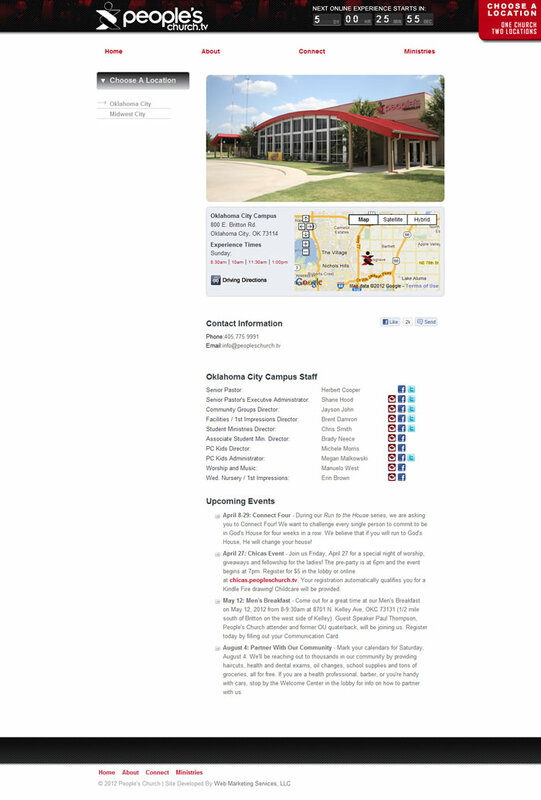 The church has been included in Outreach magazine's list of fastest growing churches in the country. As is the case for some larger organizations, People's Church now has their own in-house design/creative staff. For the site represented below, Web Marketing Services, LLC worked with the designer to optimize the design for display on the web and then took the design and transformed it into a fully functional web site complete with a content management system. The content management system allows People's Church to update the site themselves without the need for any special web development skills. There is one word to describe Web Marketing Services and that is INCREDIBLE! ... If you want a cutting edge web site, I highly recommend that you use Web Marketing Services.